I disputed my credit report through your site. I had some collections on my credit report that are over 7 years old. My question is how long does it normally take to remove the collection that is incorrect? This collection on my credit report is 9 years old, and is still reporting with Equifax credit bureau. This is very aggravating to me and I feel like the credit bureaus don’t stay on top of this stuff like they should. I just want it removed; I believe it is dragging down my credit score. This is a common issue with the credit bureaus. Yes, if there is a collection reporting on your credit report it is dragging down your credit score. Typically after you dispute the inaccuracy, the credit bureaus will remove it in about 30 days. Make sure you only dispute it once, because if you dispute it twice the credit bureaus will put you back in the 30 day window again from the date of dispute. So in essence it could take 60 days to resolve by disputing it twice. No one wants to run out on a valid debt, but sometimes things happen that make it impossible to make payments. In the best of all worlds, you could go to creditors, explain the situation, and they would let you put off making payments until you got back on your feet. Prior to the Bankruptcy Abuse Prevention and Consumer Protection Act of 2005, almost anyone could file Chapter 7 and wipe the slate clean. The bankruptcy put a blot on their credit report and lowered their FICO credit score, but they no longer owed the debt. Now it’s a bit tougher. If your income is greater than the state median income, your motion to file Chapter 7 will be dismissed and you will have to file Chapter 13. That means you’ll have to repay the debts over time. A Chapter 7 bankruptcy dissolves all debts that legally qualify for the process – meaning that almost all liabilities are erased. You can’t erase a debt to the IRS – so don’t count on this system to get rid of overdue income taxes. Chapter 7 filings remain on your credit report for 10 years, so this move is not one to take without due consideration. Under Chapter 13, you must pay off at least a portion of your debts over time. For 5 years you’ll pay money to a court appointed Trustee, who will disperse the funds to your creditors. This option is usually for people who have a steady income. Be aware that certain restrictions will apply to your life. You won’t be able to go out and buy a new car, that’s for sure! This stays on your credit report for 7 years. The third option might be the best in some cases: Letting your debts go to collection. When your original creditor decides that collecting from you is a lost cause, it will sell your debt to a collection agency for pennies on the dollar. The collection agency will, of course, attempt to get the full balance from you, but you can negotiate a lesser balance agreement. Even when you pay far less than the original debt, the collection agency makes money because they paid so little for the debt. The future will see fewer people filing Chapter 7, if for no other reason than the income limitations. It should see fewer people overall filing, because of the life restrictions imposed under Chapter 13. 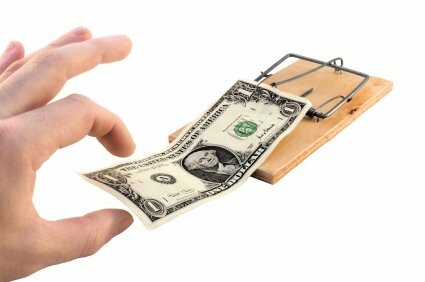 Always pay your debts if you can, but if you can’t, consider letting them go to collection as an alternative to bankruptcy. I have some questions about collections. I have not pulled my free credit report yet, but I know that I have collections on there. I have had some financial problems in the past due to medical issues. I have read that you should not pay off your collections; it will drop your credit score. The collections I have are about 2 years old. Do you recommend I pay them off, or leave them be? I plan on buying a home within the next year or so. This is a great question. Collections can be tricky; usually credit repair companies will tell you not to pay off collections. The reason for this is they are obviously in sales, would be my opinion. I have helped people get there credit scores up for years so I could finance them, by having them pay off the most recent collections. When you pay off collections on a credit report it could go two ways. Your credit scores could temporally drop, but most of the time your credit scores will increase. For long term credit repair I recommend always to pay off collections. It is important to ask the collection agency to give you a letter to delete from all 3 credit bureaus. This will remove the collection from your credit record as if it were never there. Some collection agencies will only give you a letter showing paid or settled. It does not hurt to ask though, because sometimes they will give you a letter to delete the history from the credit bureaus.